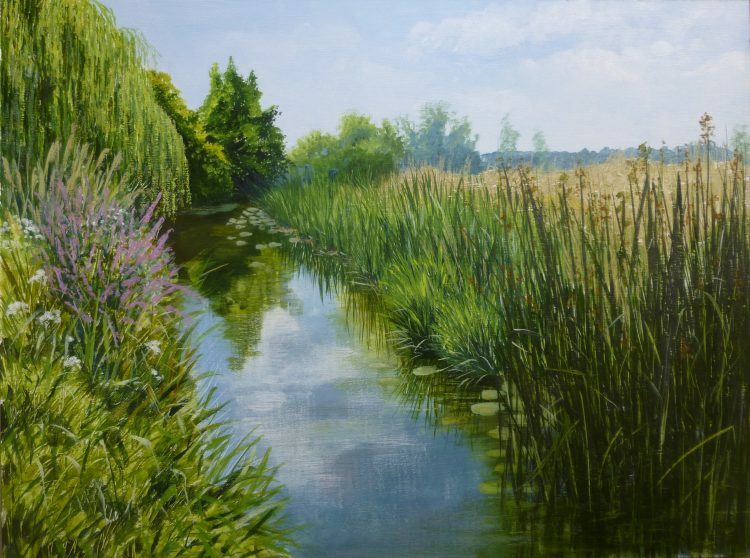 The latest painting in the River Stour series, finished last week. Hard to believe that I am more than half way through my Four Seasons on the Stour project! 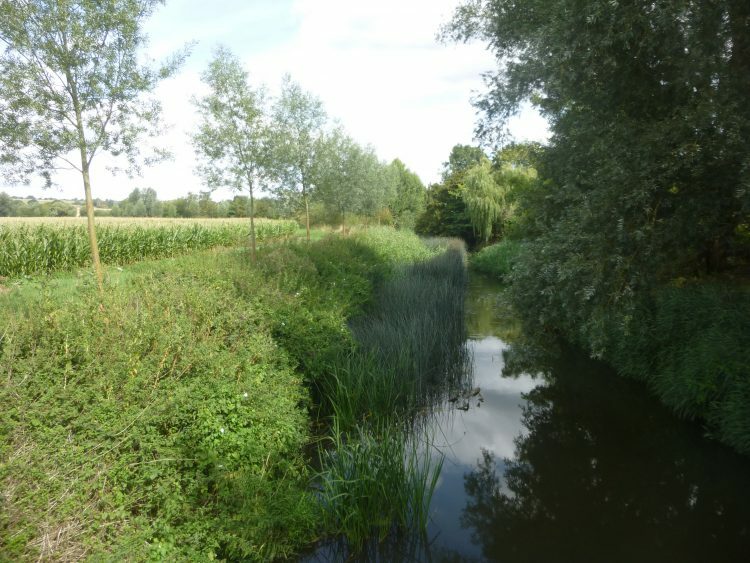 I did the next visit – to Wormingford this time – last week. This is the view of the Stour from Wormingford Bridge. Last time I went out Stour exploring I missed out Wormingford and hopped round from Nayland to Bures, but it really comes between the two. I have called a bit of a halt on painting until after Open Studios now, as I have so many things to get ready – like Christmas cards, which I have yet to start! I ordered some mugs on Friday which I think should be very attractive. They have complete wrap-around pictures taken from details of my Landlines series of paintings. I’m looking forward to seeing what they are like in real life. Also, my calendars have been ordered, and I am excited to see them as this is the first time I have had them professionally printed. And they are A3 – BIG – which should get round the problem of people looking at my previous calendars and complaining that the boxes are not big enough to write in . . . .